A preservation project in Winslow Arizona’s Route 66 Historic District. Veterans Day, Fall clean up, Enchiladas and bonus last picture. My cousin and I are friends on Facebook, we haven’t seen each other in “real life” since sometime in the mid ’70s. 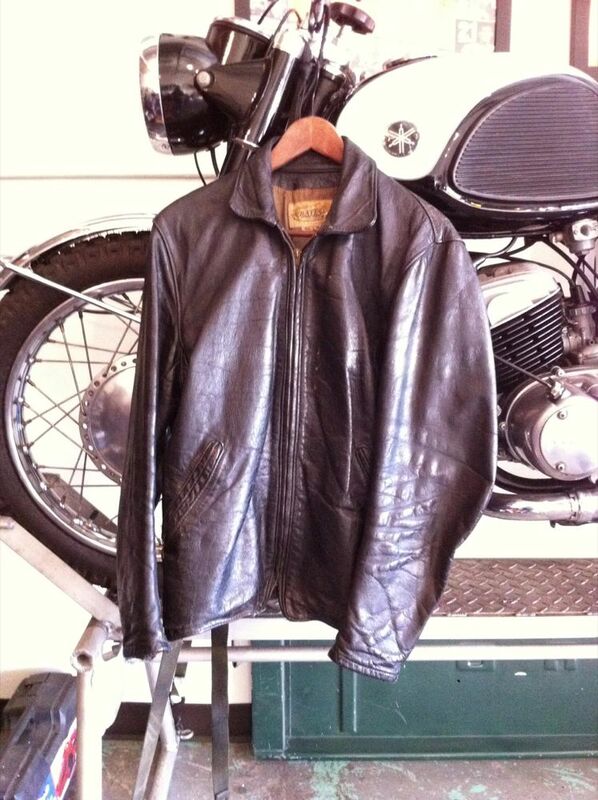 Back then I spent my time riding motorcycles and swimming. Tim is a little younger and he liked swimming. We never stayed in touch and while I was riding motorcycles he got a PHD at Columbia. 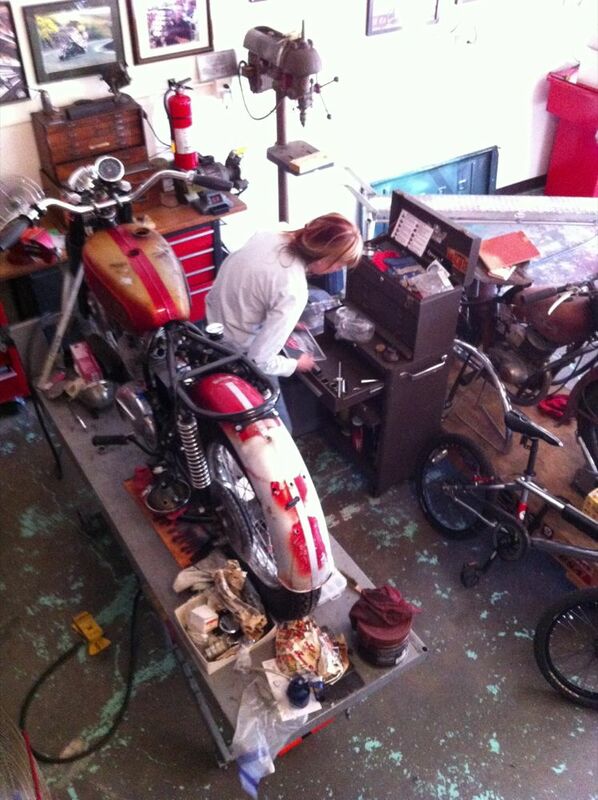 We spent the weekend cleaning and rearranging the Orange shop to accomodate some winter projects. Lori’s going to finish the TR25W. She got started on it last winter but didn’t get any real traction. She’s spent a little time learning about electrical systems and made some decent headway the other night. Lori making room her Triumph stuff. This Bates jacket and Yamaha YM-1 are a good match, they’re both too small and they smell like smoke! 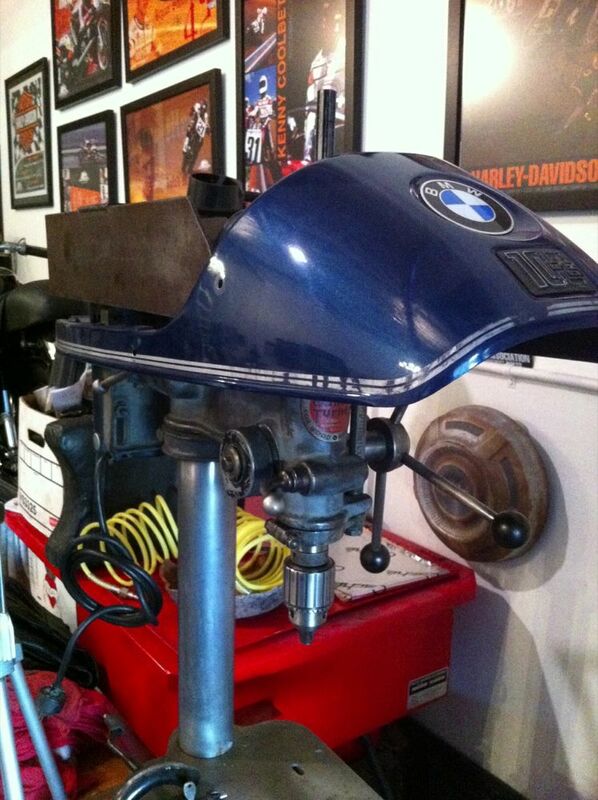 Much sought after and highly desired BMW drill press. Tonight is Enchilada night. The chile sauce and beef have been simmering for hours and as soon as I finish this post I’ll be making tortillas! You’ll have to wait to see the finished product. 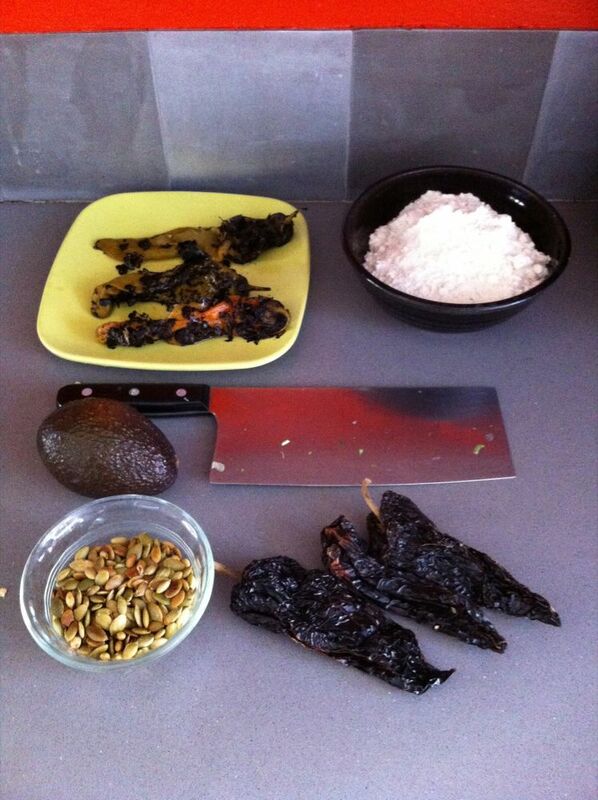 Instant Enchilada mix: Fire roasted Hatch chiles, masa for the tortillas, avocado (side dish), toasted pepitas, and dried anchos. Just add a carmelized onion, a couple pasillas, some jalapenos, your favorite meat and cook! This is the kind of stuff people complain about on Yelp. 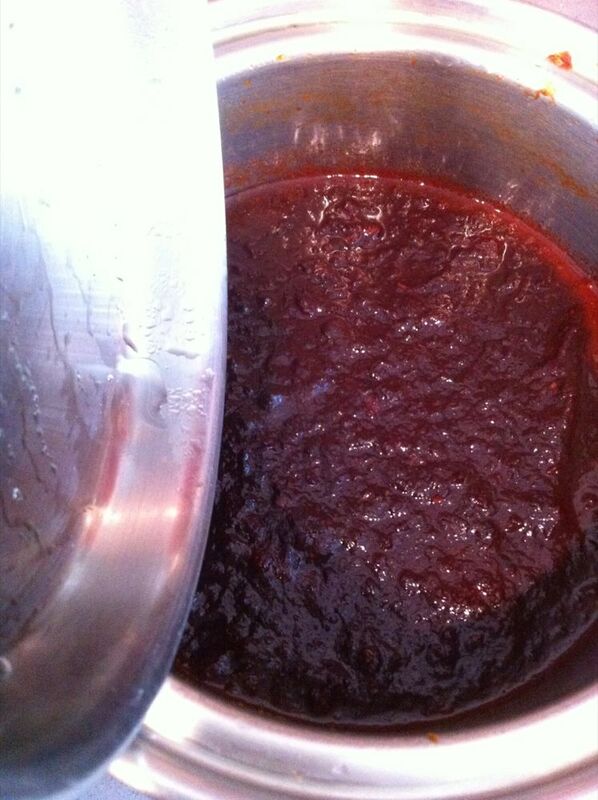 It’s not spaghetti sauce with cumin, it’s New Mexico style Red Chile sauce…it’s nasty! Here’s your bonus picture! It’s Hippodrome Studio’s Numbskull #7. Jeff Decker casts these and other “Mascots” in limited quantities. They are sculpted and individually finished by Jeff Each has his thumbprint to prove it and This is the last one! $700 includes shipping to USA locations. ← Flat Track, a sunset, and lonely ghosts on Route 66.